Lazare uses precise cuts to form beautiful gems. 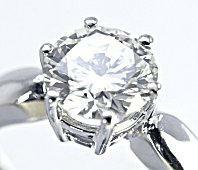 Brand name Lazare Diamonds are known for their high quality and intense precision. But what makes these exclusive gems valuable and desirable? Lazare Kaplan International, Inc. was founded in 1903 in Antwerp, Belgium. With more than a century of gemology and lapidary expertise, the company has become widely revered for its stunning diamonds and attention to detail. Today, Lazare gems are marketed in North America, Latin America, Europe, and Asia with great success, and the company continually works to refine diamond cutting techniques for more precise gemstones. In 1957, Lazare Kaplan developed the dimensions for the modern oval shape, and in 2003 they updated the proportions for the classic cushion cut and the square emerald cut. In this way, Lazare diamonds are at the forefront of diamond quality with exquisite proportions and finely balanced cuts. In addition to its commitment to superior quality, Lazare Kaplan is also committed to supporting legitimate diamond mining operations throughout the world. As a devout supporter of the Kimberly Process, the company has high ethical and professional standards to prevent the trafficking of illegal conflict or blood diamonds. Yearly audits and public reports are only two of the tools Lazare Kaplan uses to reassure consumers about the quality and integrity of its diamonds. Couples investigating diamond engagement rings are inundated with advice about the four Cs of diamond quality: clarity, color, carat, and cut. What many consumers fail to realize, however, is that only one of those characteristics can be affected by the experts and professionals responsible for turning a raw stone into a polished gem: the cut. Lazare diamonds focus on the ideal cut, using precise calculations to determine the appropriate angles and facet proportions that give diamonds the maximum fire, sparkle, and brilliance. An ideal diamond optimizes the stone's reflection and refraction through its table, the large, central facet on the top surface of the stone that is most visible. Poorly cut stones allow light to escape through the sides of the stone, and some of the gem's brilliance is forever lost. This attention to a precise cut means that Lazare gems are cut for their beauty, not their overall weight. Even the largest stone, infused with shadows because of an imprecise cut, will appear dull, but properly cut stones will be brilliant and attractive no matter what their size. Simple settings show the gem's brilliance. Not only are Lazare diamonds available as loose gems for individuals to purchase and set in designs of their choice, but the company has also developed exclusive styles that highlight their gems' beauty. The most popular designs are simple yet elegant solitaires and three stone rings that focus on the beauty of the gems without excessive embellishments. Prong, channel, and bezel settings are all available. Any of these additional designs would make a stunning anniversary gift or accompaniment to a Lazare engagement ring. Lazare Kaplan does not market their diamonds or jewelry independently; interested consumers must locate an authorized jeweler who carries Lazare designs. 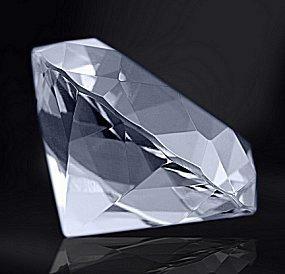 The company's website, LazareDiamonds.com has a comprehensive locator searchable by zip code, and consumers can also search the Lazare inventory for suitable loose gems. With exquisite attention to detail and precision, Lazare diamonds are exceptional stones with unparalleled brilliance and fire. Whether in engagement rings or other diamond jewelry, these beautiful gems vibrantly symbolize the fires of romance and passion for any relationship.